Frio is Spanish for cold, so this piece was designed with stripes of cool teals, turquoises, mints, and white to reflect the beautiful spring-fed waters of the beloved Texas river. 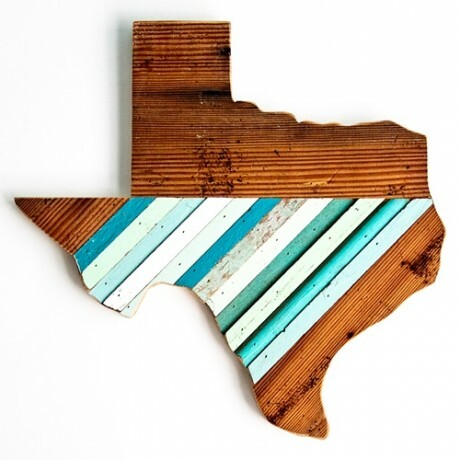 Handmade in Austin using 100% locally-sourced, reclaimed wood. Please remember, every piece is made with reclaimed materials, some variation in color and character will occur. 12" in size.